Want to be a Program Aide? Have you ever wanted to be a Program Aide? Have you already taken PA training? Look no further, I have the perfect page for you to check out. This website has everything you would ever need to know about being or a PA in GSHCC. Need to take the training? Here is your go-to site. 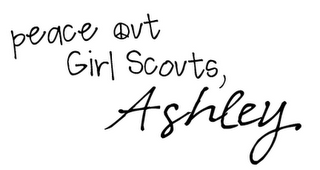 I really loved ghscc but before u could become a full time girlscout ghscc stoped coming to my school. So now I i cant do fun girlscout activites. Register as Juliette! You don't need a troop and can participate as a Girl Scout by yourself! Check out http://www.girlscoutshcc.org/gshccadmin/site1/girlscouts/girlscouts/juliette.asp for more information. love the theme/design), I don't have time to go through it all at the moment but I have bookmarked it and also added in your RSS feeds, so when I have time I will be back to read a great deal more, Please do keep up the awesome job.